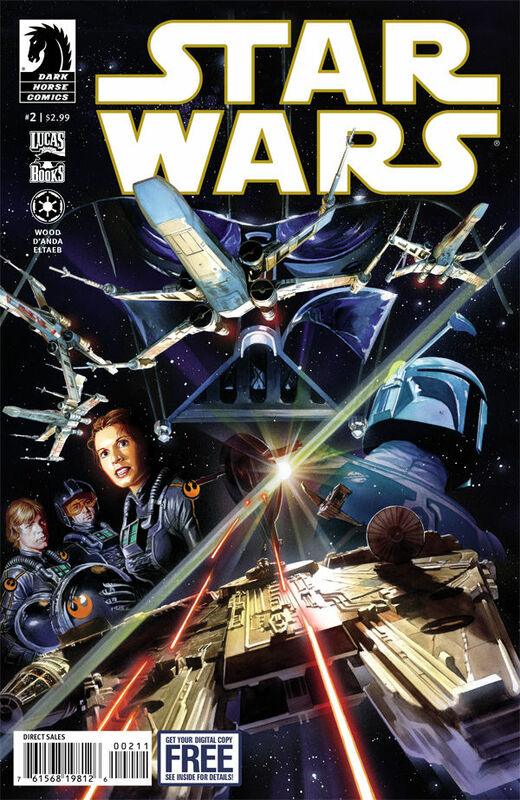 In any other recent year, writing a book just titled “Star Wars” would have been a daunting task, but to do it in 2013, when the Star Wars hype is as high as I can ever remember it being is nearly damning. But Brian Wood, out of bravery or idiocy (or maybe both), took on the project. And if two issues can be any indication (they can be because I say they can be), it was just about the best decision he’s ever made. Because the book, so far, is epic and cinematic in equal measures, or in other words, exactly as it should be. The books bravest play is that it takes on all of the original trilogy’s main characters: Luke Skywalker, Princess Leia, Han Solo, Darth Vader, and most importantly, Chewbacca. Set right after “A New Hope,” the book basically dares its readers to fight it. Throwing itself in the middle of the beloved trilogy is near blasphemy... except when it isn’t. And this is definitely the case where it isn’t. Because almost unbelievably, Wood hits the perfect marks in terms of tone, style and pretty much everything else. The book feels like Star Wars should feel like, and that’s about the highest compliment any sci-fi book can possibly be given. In both scope and direction, the book feels just right, and feel is the most important slice of cake. That credit, of course, can’t just be given to Wood. Because without his absolutely incredible art team, things would almost definitely not be the same. Carlos D’Anda and Gabe Eltaeb do simply marvelous work on this book. Their art very well compliments the words on the page, and more importantly, fits the nature of a Star Wars book like well-tailored suit. The depictions of space and the insides of the ships are absolutely marvelous, and it’s a testament to their collective abilities that they so well match the material from which they’re drawing (pun intended). There’s no telling how well the plot is going to play out in the coming months, I trust that the creative team is aware of how volatile the material they’re dealing with is, and I trust that they’ll handle it responsibly. Personally, I’m not enough of a Star Wars purist to get up in arms about it, but I’m, in this case, the exception, not the rule. As long as the team finds a balance between bravely and carefully, they’ll continue doing a fantastic job. But if they step too far over one of those lines, things could go south fast. For now, this is one of the best books on the shelves. Couldn't agree more. I loved #1 and this was even better. Just flipping through it looking at the art got me excited before I even read it because the art is so amazing.